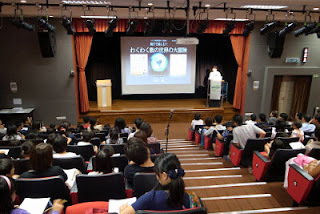 I've been so busy in the last 6 months because we, Penang Japanese Saturday School, have been planning Susumu Sakurai's maths is fun seminar. The 2 days seminar have finished successfully. There were over 600 attendees to 5 sessions. 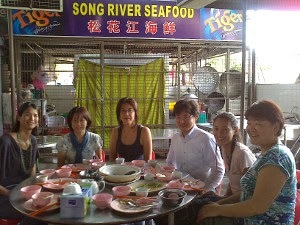 The surplus from the seminar is donated to Penang Japanese Saturday School and will be used as our running costs. Thank you for your support. As a steering group member, I've been relieved but exhausted. Of course, my boys attended a couple of sessions and they didn't seem to concentrate on them. But I was wrong. Arata is now interested in how to count big numbers in Japanese. A tiny influence, but very important.